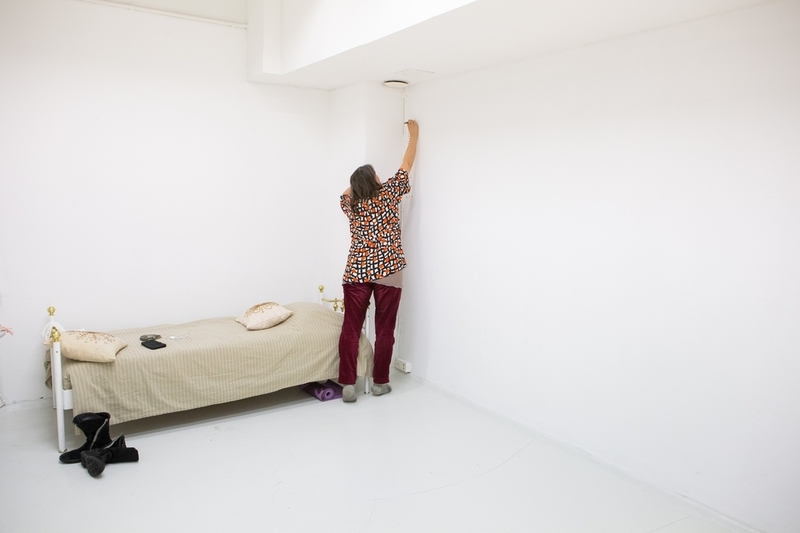 subsensorial XYZ by artist Pia Lindman is the first combined residency and exhibtion at SOLU Space in 2019. During Feb 1st to March 13th she tunes into SOLU Space as a surroundings and a materiality, mapping it's environmental sensibilities and complexities. Lindman will sojourn in the rooms of SOLU Space, exploring what effect they have on her as a multisensory system and organ, at different times and with a variation of visitors and events. In an ongoing process Lindman will compose and assemble diagrams, notes, markings, and sculptural elements onto the walls and in the rooms of SOLU Space to locate, highlight and visualize her expereince. In recent years, Lindman has explored artistic research and practice working within the fields of performance art, healing-as-art, installation, microbes, architecture, painting, and sculpture. To mention one, in her project Nose, Ears, Eyes (Sao Paulo Biennale, 2016) Lindman gave treatments to the audience in a hut designed by her and built by local craftsmen specialized in traditional Brazilian building techniques (Pau a Pique, bamboo and mud). During treatments Lindman made diagrams, i.e., drawings and paintings based on the visions she saw during the treatments. In 2006 I discovered I had been poisoned by mercury. My bones, brain, kidneys, liver, and intestines were in pain. My cognitive capabilities, and lymphatic, autoimmune, and gastrointestinal systems were defunct. I later discovered that in many houses, I suffered from the indoor air, especially if the house was infested with mold. Mold may produce mycotoxins, nerve toxins - similar to mercury. My nervous system, now well trained – sensitized - reacted to these toxins. In moldy houses, I experienced pain, electric shocks running through my nerves, and cognitive difficulties that eventually appeared to have a slight hallucinatory effect on my mind. My heightened sensitivity is now a medium that allows for more signals from the cells of my body (of chemical and energetic events) to reach some sort of pre-conscious-consciousness of my mind. These are signals that are usually filtered out by the brain, but are now, in my mind, translated into various mind “things”, i.e., visuals, melodies, words, movements, and colors. Perhaps one could call this process a multiple-form-synesthesia. I call this interstitial work of mind and body, this intermediary space and time of signals and synesthesia, the subsensorial. Becoming familiar and skilled with the subsensorial, I have turned this sometimes debilitating sensitivity into a capability and a tool for my art, that helps me tune in and express human conditions and, for instance, the atmosphere of a space. Pia Lindman received her second Master degree at Massachusetts Institute of Technology, U.S.A. in 1999. After ten years of residing in New York, teaching at Yale University School of Art, and as a research fellow at M.I.T., she now builds an eco-village in Fagervik, Finland. In 2011, Lindman was commissioned to create “Poison and Play” and exhibition at Haus der Kulturen der Welt in Berlin. Residencies include Field_Notes (2013 and 2018) at the Biological Research Station in Kilpisjärvi, Lapland, hosted by Bioartsociety. Lindman’s latest art project, “Nose Ears Eyes”, was commissioned by the 32nd Sao Paulo Biennale, Incerteza Viva (2016). 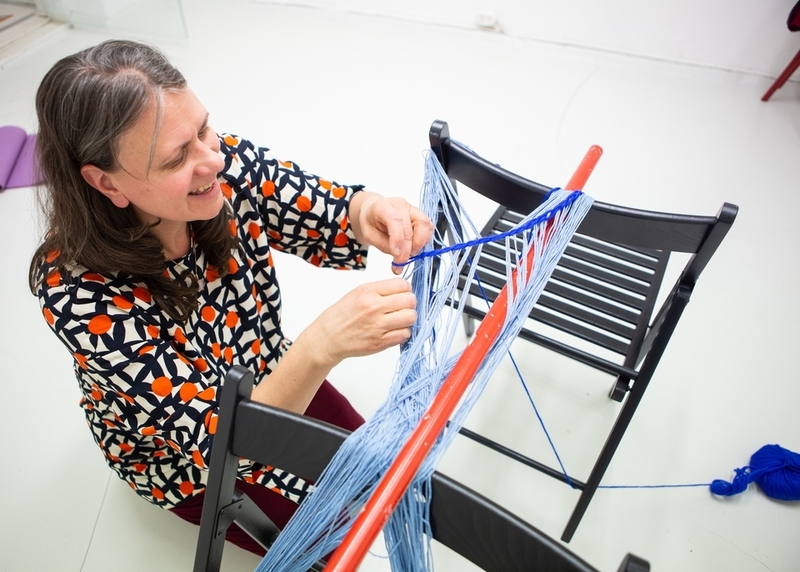 Pia Lindman was Professor of Environmental Art at Aalto University from 2013 to 2018 and while there, initiated the art/science network Chill Survive focusing on the Arctic, summoned the interdisciplinary think tank The Trouble Group, and organized the first global Radical Relevances Conference (2018). Since 2017, Lindman is doctoral candidate at the program of Nordic Cultures and Environmental Politics at Lapland University researching her concept of the subsensorial. A result of many years of investigation into the body and its place within the cultural space, Lindman's work responds to a contemporary desire to mend the fission between science and art, healing and creativity – and moves beyond the human body proper to multiple realms of life.